Are you into art but not really into science? Now you can experiment mixing primary colors while looking like a mad scientist. 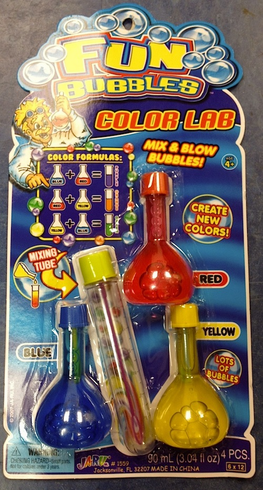 Mix the concontions for more colors then blow your "potions" away with the mixing tube's built in bubble wand. Science and Art have never mixed this well before!